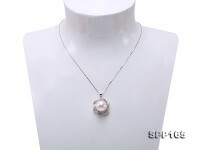 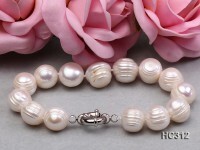 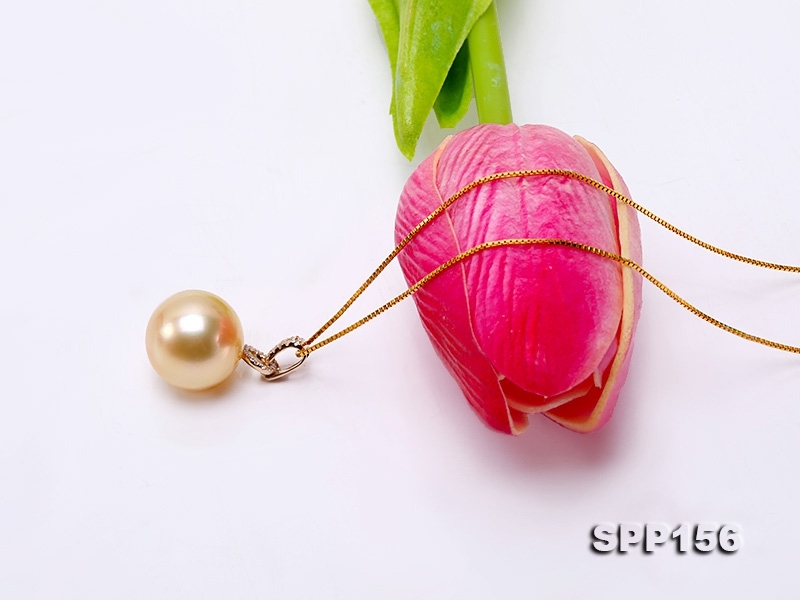 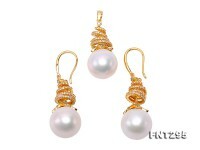 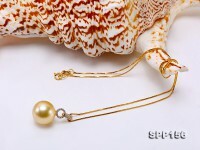 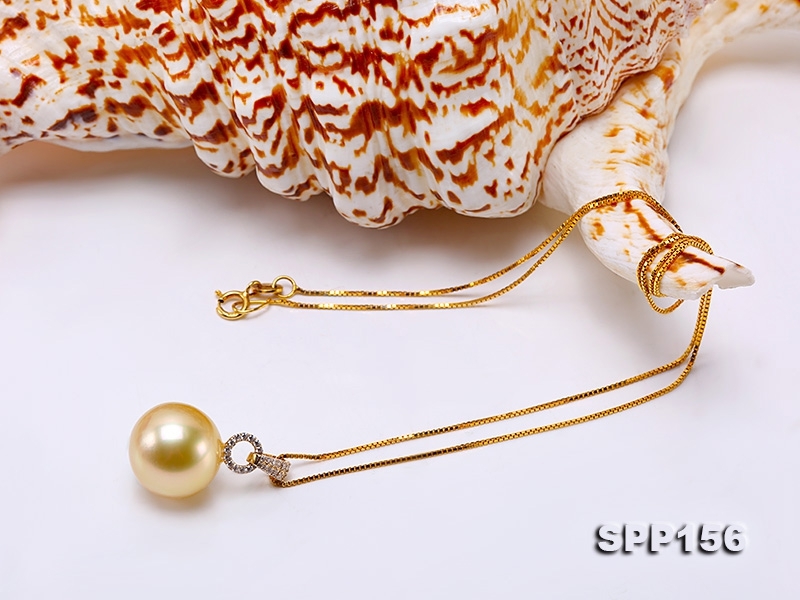 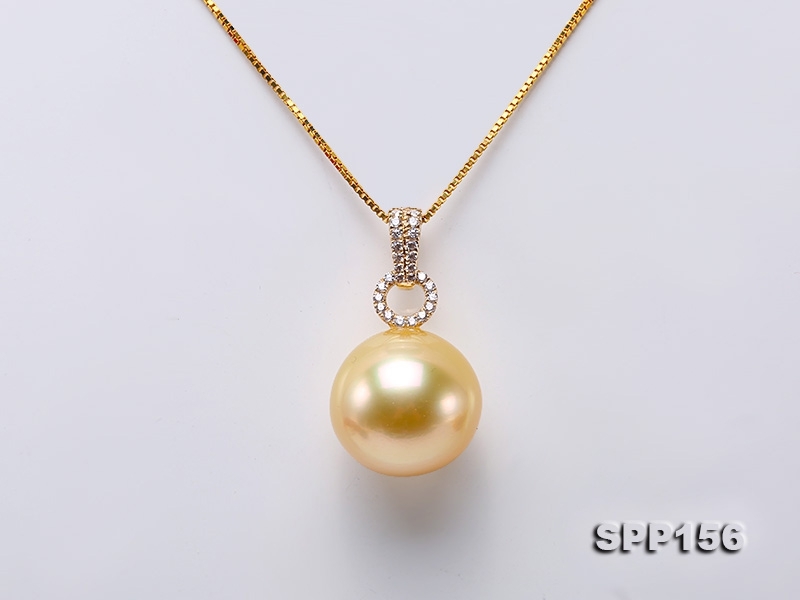 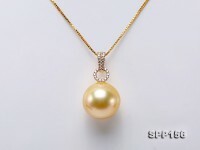 Classy 13.5mm golden south sea pearl pendant. 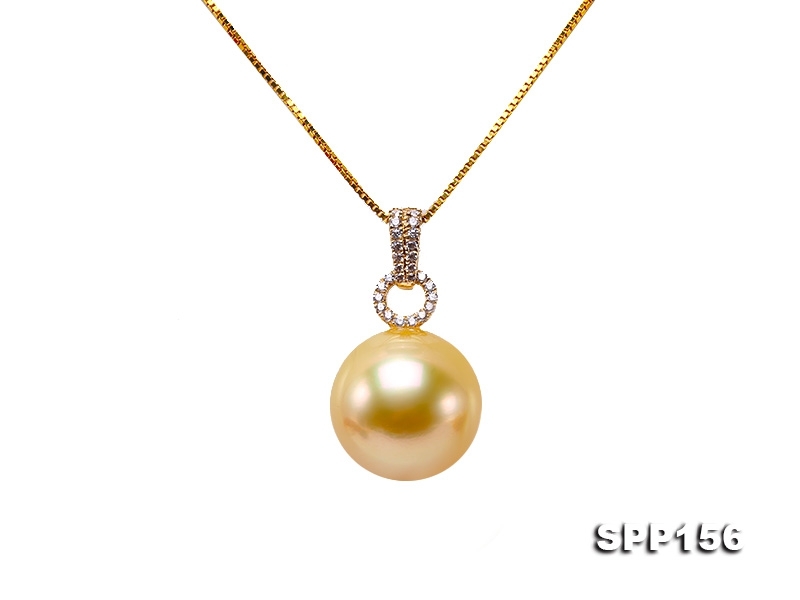 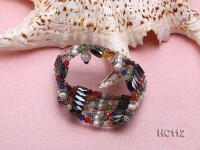 A lustrous south pearl is perfectly taken by an exquisite 14k gold cap. 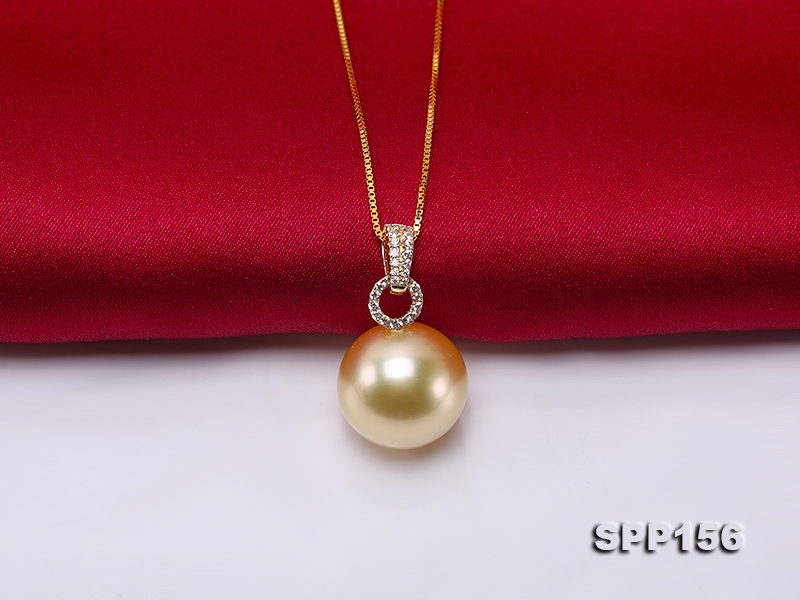 The south sea pearl features a highly lustrous skin with rich gold color and very few blemish spots that won’t possibly affect its natural beauty and luxury touch. 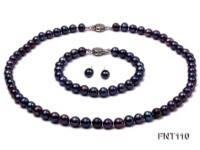 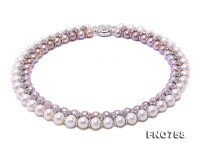 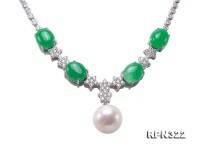 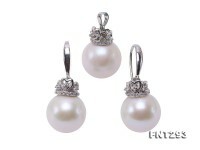 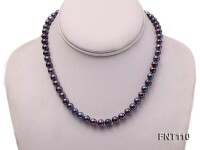 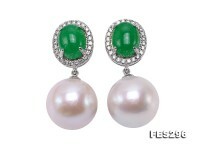 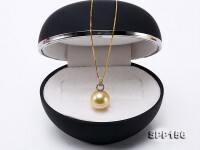 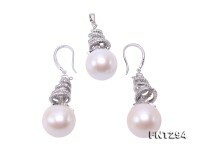 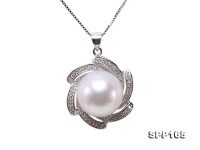 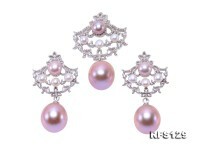 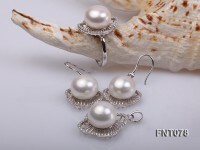 Classic in design, the pearl pendant can easily make an sensuous match with cocktail dresses or be chosen as the most valuable and unforgettable present for your beloved one.